If you’re looking for a short and sweet guide on what shoes are best for weightlifting and why, you want to read this article. Getting fit isn’t necessarily cheap. The gym membership…the food and supplement bills…the books, courses, and membership sites…your insatiable love of workout clothing…straps, belts, gloves, sleeves…it all adds up. And then there’s the matter of shoes. There’s no question that proper running shoes are a worthy investment if you’re going to pound the pavement regularly (rotating between several pairs is best, actually), but do we really need to pony up for something special for our weightlifting too? Or will any ratty ol’ pair of anything be as good as another? It provides a stable surface to help us balance and support heavy loads. 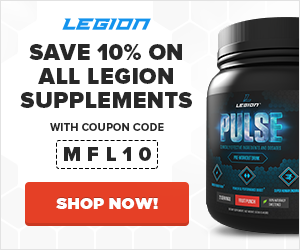 This is particularly important with exercises like the deadlift, squat, and overhead press. It fits your feet snugly and leaves no wiggle room. You don’t want your feet moving around in your shoes as you train. It provides good traction so your feet don’t slip or shift during a lift. The right weightlifting shoes not only improve your performance of important lifts like the squat and deadlift but they reduce the risk of injury as well. As you can imagine, not all types of shoes meet these criteria. Running shoes, for example, have squishy soles that can become quite unstable when placed under large amounts of weight. Instead, we want a rigid, noncompressive sole that serves as a base we can press off of. Loose-fitting shoes meant for lounging and shoes with treadless soles that don’t grip the ground when torque is applied are equally inadequate for weightlifting. You want to feel like your feet are solidly connected to the ground and can “screw in” as you load them. So, to answer the question posted in the beginning of this article: yes, I do think serious weightlifters can benefit from good weightlifting shoes. Many brands last damn near forever as well so it’s not much of a financial burden when viewed in context of how long you’ll be using them. Now, not all weightlifting shoes are the same, though. Which are the best? Olympic Weightlifting Shoes Look Damn Cool But Are They Worth It? We might as well start at the top of the weightlifting shoe pyramid and work our way down. 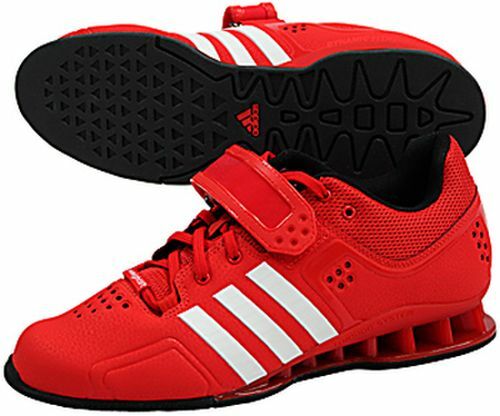 And the top is a pair of awesome weightlifting shoes like the Adidas Adipowers pictured above. Getting right to the point: if your workouts involve Olympic lifts, heavy squats, deadlifts, and/or overhead presses, and you don’t mind the price tag, you want a pair of Olympic weightlifting shoes. I held out for years before buying a pair, assuming they probably weren’t all that different from the other types of shoes I’m going to recommend in this article…but I was wrong. 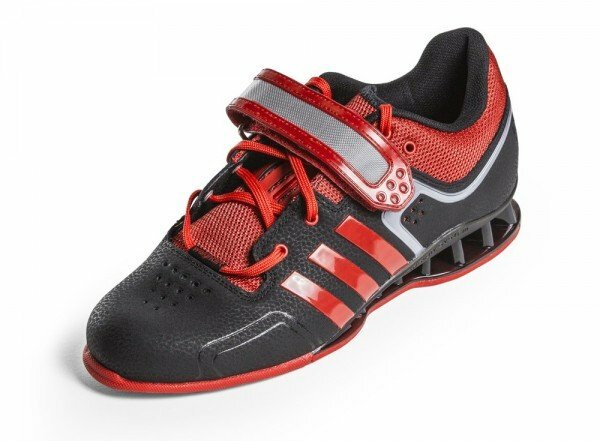 Olympic weightlifting shoes have straps that allow you to push against the sides with your feet. This helps you better activate your hips when you pull and squat, which allows you to move heavier weights. Olympic shoes have hard, noncompressible soles that give you a wide, rock-solid, and consistent base to push off of. The increased stability during your big lifts is something you immediately notice when you first make the switch to an Oly shoe. 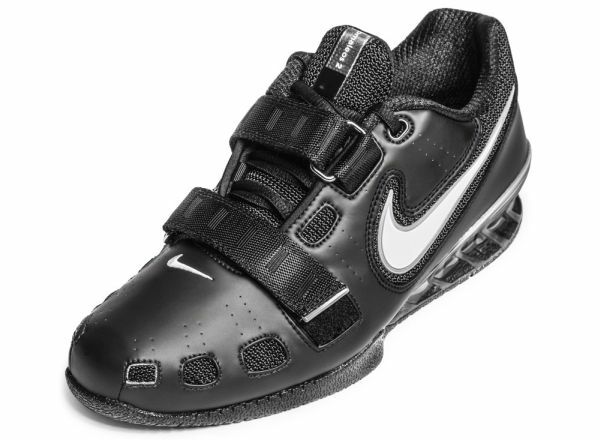 Olympic lifting shoes have a slightly elevated heel (0.5 to 1 inch of elevation) that allows you to more easily squat into a deep position while keeping your chest upright. Again, if you’re doing heavy, compound lifts regularly, I highly recommend you consider a pair of good Olympic weightlifting shoes. It’s money well spent. Like with any type of shoe, there are a lot of different brands of Olympic shoes and prices are all over the place. Here’s the bottom line when it comes to the best Olympic lifting shoes. There’s a reason why you see these all over Olympic weightlifting stages: they’re widely considered the gold standard of Olympic lifting shoes. Well designed, sturdy, durable, comfortable, good traction, and great looking…what else could you want? These are what I personally use. The only downside is price $180-200), but if that doesn’t deter you, stop reading this article, buy a pair, and get ready to experience the best. I have a hard time choosing a favorite between the Adipower and Romeleos II. They’re both outstanding weightlifting shoes and really don’t differ in any substantial ways that I could tell. They fit and perform equally well and cost the same so, in my opinion, it just comes down to personal style. You can’t go wrong either way. The Powerlife 2 is the Adipower’s little brother and it lives up to the family’s reputation. The heel is a little lower than most pure weightlifting shoes but that isn’t necessarily a bad thing. Some people find it more comfortable when squatting deep (especially people that use a wider stance). The sole also compresses slightly but the inclusion of a plastic plate that runs above it keeps it feeling stable throughout your lifts. If your workout routine doesn’t involve heavy Olympic lifting or heavy squatting, deadlifting, or overhead pressing, you don’t need a pair of Olympic weightlifting shoes. A cross-training shoe will better meet your needs. Cross-trainers offer flat soles and enough ankle support for weightlifting and enough comfort and foot support for shorter runs (up to 5k, generally) and aerobics. They’re also comfortable enough for use outside of the gym. CrossFit’s blitzkrieg across the fitness lands has spawned a ton of different cross-training shoes, but you don’t need to try them all to find something you’ll love. I lifted in cross-trainers for years and have tried quite a few brands and models, and here are my recommendations. I’m not a huge fan of Crossfit but I’m not going to hold that against the brand’s official, and fantastic, training shoe. 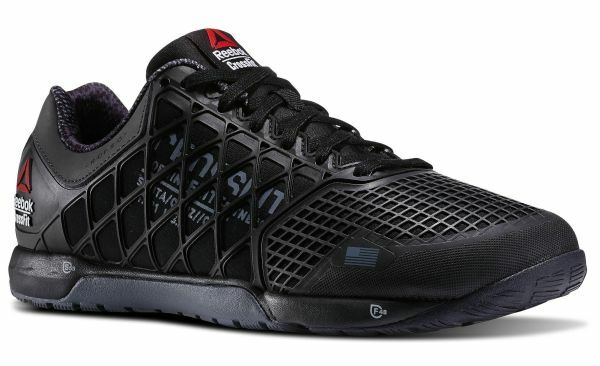 Reebok has done a great job leveraging the popularity of CrossFit to solicit a ton of customer feedback and then actually use it to guide the progression of the Nano model to its current “4.0” version. 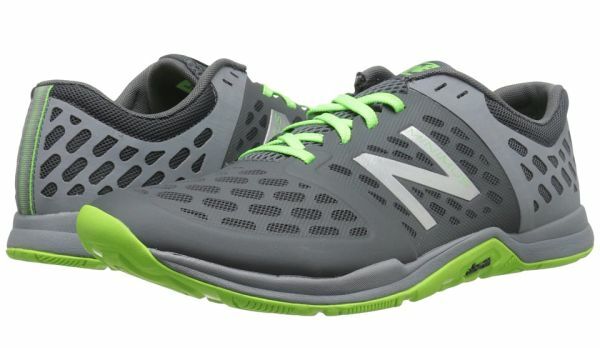 What’s you’ll find in the Nano 4.0 is an extremely well-rounded workout shoe. It fits snugly, but isn’t too tight; its flat, rigid soles provide stability and traction; its rubber exterior shell gives durability and a bit of protection against impacts; and its lightness and flexibility make it suitable for short runs as well. I’ve been a fan of the New Balance Minimus line for several years now. I used and abused my MX20V3s for about a year before upgrading and they performed admirably. What first struck me about these shoes is how light and comfortable they are. It’s like they mold to your foot and become an extension of it. Like the Nano 4.0s, the MX20V4s are made for weightlifting, aerobics, and running, and they work well for each. The flat, rubberized sole compresses minimally and provides a good base, but now that I’ve tried Olympic weightlifting shoes, I have to say I like something wider and more rigid for my squatting. The comfort, foot support, and flexible shell makes them suitable for cardio as well, including jogging. 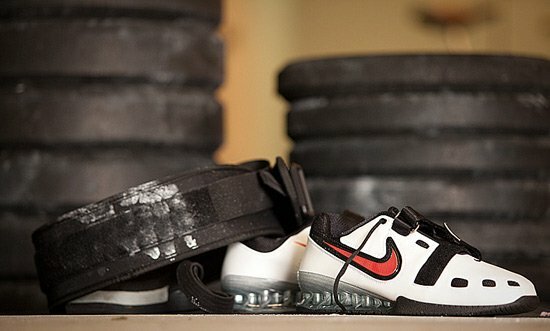 You don’t need fancy shoes for weightlifting–many people do just fine with the classic Chucks–but a good pair of weightlifting shoes will make a difference in your training. If you’re spending a good amount of time with the weights every week, and especially if your training focuses on heavy, compound lifting, I highly recommend you invest a little money into the right shoes. You’ll be glad you did. 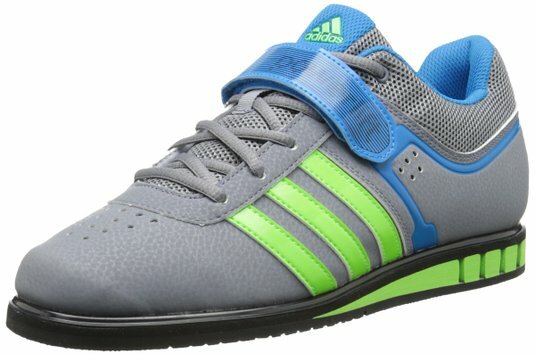 What are your thoughts on weightlifting shoes? Do you have anything else to share? Let me know in the comments below!